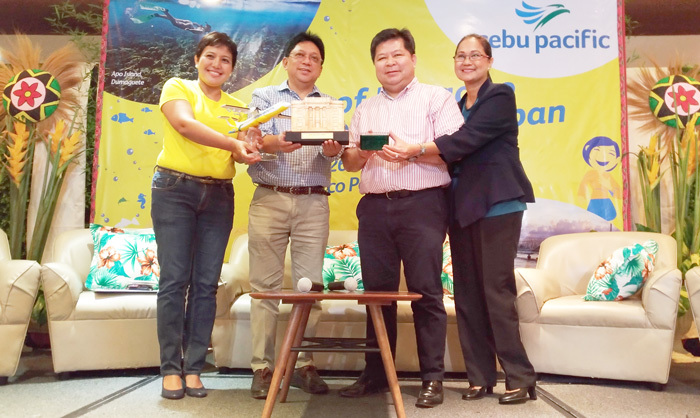 Davao City is now connected to two of the quaint and lovely cities of the Visayas – Dumaguete and Tacloban City as Cebu Pacific Air launched two new routes on Thursday, July 27, 2017 at Marco Polo Davao. 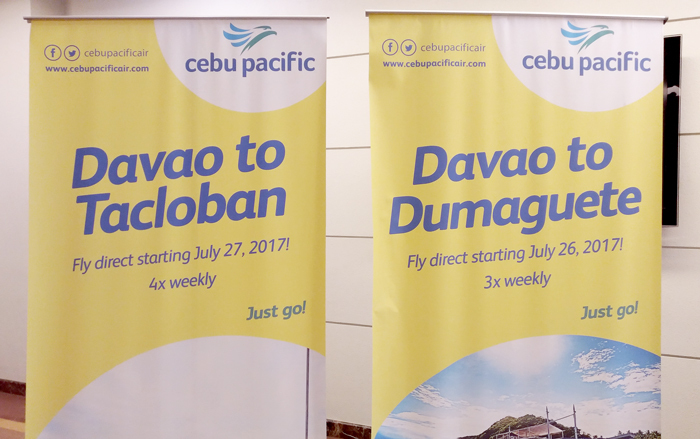 Cebu Pacific now flies from Davao to Dumaguete City 3x weekly (Monday, Wednesday, and Friday) and Davao to Tacloban City 4x weekly (Tuesday, Thursday, Saturday, and Sunday). This development will pave the way to the influx of domestic tourists to the city boosting not only the tourism sector but also the by-products of the industry. And in the same manner allows travellers from Mindanao to fly to the heart of Visayas in a short period of time. 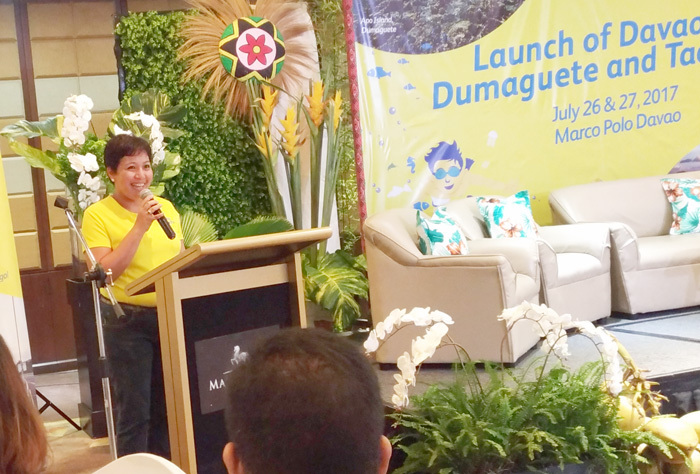 The launch was graced by Davao City local government officials and their counterpart officials from Dumaguete and the Province of Siquijor led by Dumaguete City Mayor Felipe Antonio Remollo. In his talk he encourages investors to put up conventions centers and hotels to accommodate the growing number of visitors due to this domestic connectivity. Cebu Pacific is the youngest aircraft fleets is the world with an average age of 4.5 years. It has also flown about 4.8 million passengers in the first quarter of 2017 and targets 20 million passengers this year. Other than these new routes, Cebu Pacific also launched flights between Zamboanga-Cotabato, Cagayan de Oro-Zamboanga and Cebu-Masbate. I really love the fact that Cebu Pacific is doing there best to make this archipelago well-connected with their local flights. I hope they will have more of this and the public will support this. Good news! More reason to travel around, and now easy to do island hopping. Hope they make their services awesome too. Ay ang galing! Now, we can easily traverse the islands. It used to be so hard going on land trips, ride the barge, etc, just to get to another island in the Pinas. Kudos to Cebu Pacific! This is good news! I have relatives in both Davao and Tacloban. Travelling will now be faster for them in case they wish to visit each other. Nice that they have this now and for frequent flyers to those destinations, it will be a great news!